Do you know anyone mentioned in this diary, or in the Guestbook feedback below? Looking for colleagues or information about bomber command? Have a comment on our web site? Feel free to contact us. I read for about two hours, learning about code names and flight words used, etc. Interesting stuff. It sounded frustrating when weather, kites, and fellow airmen never cooperated enough to get a flight off. I was hoping to find some information about my dad's uncle (Ron Craven) who had taken many missions as a pilot, but never heard his name mentioned once. Maybe I never read long enough? Anyways, glad that Johnston's diary was put to good use, but I hope it would never be used in any negative way. Thanks for sharing! I noticed a reference about Joe Dowsing written on Sept 6, 2011, written by his daughter Val. My father J.H. Graham was the w/op on the same crew: Halifax HR799. I have been in touch with the pilot William Hickson's son, Peter and he has written a book about his father's experiences during the war. I would be glad to pass on information which I have if Val would contact me, or if you have her email address I could contact her. To Liam Maloney, my father flew in VHK LM234 out of Skellingthorpe. He was a survivor of the crash. I am writing a second volume of the history of 514 Squadron and am very impressed by this site. I am sill in contact with Alex 'Red' Campbell, who wrote the forward for the war diary of 514 Squadron, 'Striking Through the Clouds'. My father Fred Wilson was a lanaster pilot about 1943/44, before transfering to the army in Malaya. I have pictures of him training in Tiger Moths, and in uniform with wings, also pictures in Canada, but that's it. When I was a kid I did see his training log book, with housr of flying, but that's been lost. Is theer any way I can trace him in the RAF with this limited knowledge? Any info welcome. Thanks. My dad Kevin flew in North Africa after training in lancasters, then went on to become a SNO with BOAC, then taught physics. He died five months after retiring in August 1986. I remember names such as Johnston and Scanlon. Anyone out there remember? Looking for friends or photos of Flight Engineer 115 Squadron or any of his crew. I'm interested in getting to the bottom of the squadron my grandfather (Nicholas "Ray" Wailing) was in in WW2. I have his flight manuals and logbooks at my mum's house, but as I remember he was in 115 Squadron and flew lancaster bombers. I have some photos with places, dates and names on the back, but cannot seem to piece any of it to the information on the internet. Photos taken in Torquay, Kraal Volksrust, Newquay, Jo'burg, Majuba and Naples between 1944-1946. Names on photos: (Daisy) Don Edgeson, Johnny Lock, Syd Pitt, Norman Sheldrick. One photo is of a group at Kroonstaf, Aug 1944, 'D' flight. Names: Pollard, Parry, Rowlands, Simmons, Savage, Price Pitt, Petticrew, Reese, Renshaw and Sharp. Were there several 115 Squadrons? I hoped my grandfather's name or photo may have appeared somewhere on the internet, but there is nothing to even match up with my information. Looking for the family of James Alwyn Ewen, Joseph Harold Fellows, Barrington St John Woollard, Frank Reginald Tickel, Edmund Charles William Goode, all of whom were killed when two lancasters collided over France on July 16, 1944. Ceremony to be held later this year and we would like to invite any family members. We have read an entry from Ian Dalgleish dated March 7, 2012. We live not far from where his father is buried in France and are involved in some plans for a memorial later this year, and woud like to make contact with Ian. I'm looking for information on my grandad, Thomas Tilley. He flew with the Pathfinders in 582 Squadron and was awarded the DFC in 1944. I believe he may have flown with Thomas Charles Marchant and George William Wright. He flew at the Dunkirk evacuation. My father Charles Donald Andrewartha was colleague of Bruce Johnston and went on to win a DFC in October 1944. He spent almost his entire life in the RAF producing eleven children and ending up as a Squadron Leader in Air Traffic Control. His eldest son Derek became a Squadron Leader in the RAAF. Found this excellent site whilst looking for information on Sgt Derick Murphy, who was shot down on a raid to Aachen on July 14, 1943. He was on the Avro lancaster DS660 shot down near Metz on Couture. I flew as a rear gunner with F/O Vern Martin RCAF, F/O Joe Eissen RCAF nav, Russ Grey MUG RCAF, Sgt Les Hauxwell w/op Sgt RCAF, Dennis Baker Pilot engineer RAD Sgt, and Norm Fenerty B/A Sgt RCAF - Scampton 153. Reference below entry dated Feb 17, 2010 by John Rogers. This lancaster NG332 was shot down by friendly fire on New Year's Day 1945. The pilot was Squadron Leader Anthony Alan Mills, 'C' flight commander on 115 Squadron. The wireless oeprator F/Sgt John Fenwick I knew as an acquaintence. All crew perished and are buried in a collective grave in Leopoldsburg War Cemetery, Belgium. With reference to P/O Felix Burrows (RAAF) a wireless operator and Ronald Stuart Strickland mid upper gunner, also RAAF, were serving in the crew of Squadron Leader Hugh Wilfred Castle who was 'A' flight commander in 115 Squadron. His lancaster HK 595 was in a mid air collision with another lancaster NN706 of 115 Squadron, flown by Fl/Lt John William Davidon RCAF, over Leverkuson. There were no survivors. Most of Squadron Leader Castle's crew are recorded on the Runnymede Memorial as having no known grave. Ft/Lt Davidson's crew are buried in Reichswald Forest war cemetery. Mr. Davidon's wireless operator F/O Joe Dunford RCAF, was a personal friend of mine and P/O Donald Nelson Page RCAF mid upper gunner had the next bed to me as Sgt Page before he was commissioned. This is for the information of Gavin (see below). I was a wireless operator in the crew of Fl/Lt David Jenkins DFC. I have just found your site and haven't yet had a chnace to read it thoroughly. I am the great-niece of Cecil Nugent. His death in a civilain plane crash in 1947 with his new bride was a tragedy that still resonates with our family. I am thankful for your site, and will read it carefully. I'm named after my uncle Keith, who died in a lancaster and missed his children growing up, and who never had a headstone. In response to the comments made by Robyn Van Emmerlot here, my grandfather was a Jim Thompson, who was in Bomber Command flying in Lancaster Bombers. I am wondering if he is the same person you are referring to who may have known your father. Can you share the photograph you have, and I can see if I recognize him. We would like to unveil on May 2, 2015 a monument with the names of the crew of Lancaster bomber LM693, which carshed on September 16, 1944 near Strijen-sas in The Netherlands. Your father saw this crash in his plane and he wrote in his diary about this. When you have time we invite you to come to the unveiling of the monument and can visit the cemetary in Strijen where the crew are buried. Looking for any information on John Thomas Darby, RAF Volunteer Reserve No 115 Squadron. Any information is greatly appreciated. I know some things about Keith Selwyn Bell. My mother-in-law was Arthur Morley Wilkinson's cousin, who died with him. I have his up-to-date long book, last date Dec 29, 1943. Please feel free to contact me. I believe Donald Holder was looking for info on his uncle - his post of Aug 2011. I can copy the mission docs via email if Donald hasn't got them yet. My father (Fl Sgt Douglas Burns) was the rear gunner on DS787, which was indeed knocked out of the sky by falling friendly bombs on September 11, 1944 in a raid over Kamen. In fact, all seven crew sucessfully bailed out, but only three survived. It is not known how the other four died. My father had the grim task of identifying the bodies. Last year I asked if anyone knew William (Bill) Button. I have now found out his real name is Basil Frederick Button. Hope that someone can remember him. Thank you. My husband, Frederick William Eldrett (Freddy) was an Engineer flying with F.O. Folkes in 115 Squadron. His logbook ties in with many missions described on this website. Is there any information about F/O Folkes and his crew? Fred was seconded to BOAC in November 1944 - any idea why this was, when we were still at war? He stayed with them after his release in 1946. Look forward to hearing if anyone has any news. Thank you. My dad, George Brown, was a Flt St with 50 Squadron flying out of RAF Skellingstorpe, and he flew Lancs. His Pilot Officer was Ian Bolton, and their plane was shot down in a raid on Berlin the night of December 3, 1943. Dad was taken prisoner and was in Stalag Luft 1VB for a while. He escaped and was recaptured a few times. I have his log book, which makes for interesting reading. Sadly, dad died in 2002 and I think all his old crew are dead. I did make internet connection with Ian Bolton's daughter a while ago. Not sure if anyone remembers my dad. He was from Henley on Thames. Not sure what to do with all his old RAF stuff, as our kids are not really interested in it. Is there a museum or similar that might be interested? Any feedback would be appreciated. On going through my father's effects, he joined the RAFVR with his cousin F/Sgt John W Swannell, who was the bomb aimer in Lanc KK556 (Pilot was F.O. D.F. Holder), which was lost on the Kiel attack August 26, 1944, one of three from Witchford. The rest of the crew was Flt/Sgt H.H. Hartley (nav), Sgt D.R. Chatworthy (W/Op gunner), Sgt M.J. Pearson (Fl Eng), Flt Sgt A.S. Jackson (gunner), Flt Sgt A.G. Webber (gunner). Tony Kovacich was my mother-in-law's brother-in-law (my husband's uncle). Norrie, my husband never knew Tony but my mother-in-law spoke of him often. No one seemed to know what happened other than he was blown up, and only identified by his boots. Now that I have found out where his remains are buried and the date of his death, a mass will be said at St Mary Cathedral, Edinburgh on August 30th. This website is amazing. If there are any of Tony's family wishing to know his Scottish family, please make contact. Have just returned from a fantastic memorium in Metz en Couture for the crew of Lancaster bomber DS660 shot down July 13/14, 1943. My uncle, Mervyn Jones, was killed along with Chester Armstrong, Boyd Larson ((POW), Derrick Murphy, Frederick Yates, Peter Williams and John Newton. We are trying to piece together as much information as we can about the crew - would be great to speak with someone who may have been in contact with Mervyn during his time in the RAF - fingers crossed! Re: Leslie Charles Roots, F/Sgt/Navigator short down 18/19 July 1944 in night raid over Scholven. I understand Caroline Wood is trying to contact Robyn Van Emmerloot re the fact that both her uncle and my father served in 100 Squadron at Waltham in Grimsby in 1943-1944. You can contact me. Looking for different bomb loads on an Avro Lancaster. I found on your most informative site, a puzzling photo showing the mixed bomb load of a 4,000 lb Cookie and 14 ? The question mark shows my confusion: are these packed incendiaries with a tailfin section? Is there a technical description of it or a special name for the projectile? Grateful for any information on Phillip Kidd, who died in a crash after Bomber Command attack on Versailles railway yards June 8, 1944. Home: Lytham St Anne's, Lincolnshire. I found your site when I was googling images from CLAREY and the one you have of Colin Clarey came up. I have a copy of that photo, and I was not going to click on it, but am glad I did. You have done a great job putting this site together. My father-in-law was Colin Clarey. My late husband Peter was a Qantas pilot, who passed away in 2000. We have Colin's log book. I will look at it to see if they went on the same missions for the short time Bruce was at Witchford before Colin was shot down. Peter and I went to Papendretch for the 50th anniversay of the crash. Then in 2004 my son and I went for the unveiling of the monument and square where "Popeye" was excavated. The famies of the crew have had continuing communication with the people of Papendretch since the crash. It is a very special relationsip. They have a room at the museum devoted to "Popeye". I am a family historan, so have a deep interest in all our family stories. On your site you have had contact with a Lee Calderwood. His father, William (Jock) Calderwood, may have flown with a friend's uncle who died in a crash at Cammeringham, Lincolnshire. I also know the rear gunner of this aircraft, who is still alive and having a great life in Canada, so I wonder if you could be so kind as to pass on my email address to Lee and ask him to get in contact. A reunion is planned to recognise Canadian Lancaster bomber pilots. We are trying to locate a pilot from Raymond, Alberta, who after retiring from the Forces became a park warden at Waterton Lakes National Park. The search is at the request of my wife's uncle, Brig General (ret) Sugimoto. Thank you for your help. Does anyone have any information on Lionel Leonard Thomas, married to Sheila O Kelley. He was a master bomber during WW II, based in Cambridgeshire, possibly St Neots area. I would appreciate any information at all. My father, Alan Blue, flew as Bomb Aimer wih Edward Dalgeish in 207 Squadron and prior to that on 5 LFS at Syerston Notts, and on 1661 Winthorpe Conversion Unit, and 17 OJU Silverstone in February 1944. How do I get in touch with his son, Ian? My father's logbook contains a photo of a F/O Lewis K Fennel (DFC Investiture, Buckingham Palace). Could he be the same as "Fennel, Flight Officer at 1653 Heavy Conversion Unit, Chedburgh", mentioned here? Thanks in advance. I enjoyed viewing your site. My late dad was bomb aimer with 115 from Jun-Nov 1944. Pilot was Ken Gadd. You show photo of crew, with my dad William Smith standing far left. Crew bailed July 1944 over England, then Gadd damaged lanc. I donated dad's midion logbooks, documents and maps to Nanton museum. I wonder if anyone remembers my dad, Eric Richardson? He was a flight engineer on lancasters (90 bomber squadron) at Tuddenham. He was the man who made the metal sundial on the memorial to the squadron which is on Tiddenham village green. Sadly, he died in 2001. There are so many questions I wished I asked him, but it is now too late. Many thanks. My grandfather served at Kirmington on 153, 166 squadrons then later with 617 at Scampton. He was ground crew, engine fitter, and worked on all types from Wellingtons through to lancs. I have good photo of lanc "Fair Fighters Revenge" bombing up, with the aircrew and ground crew in attendance, and a remarkable number of bombing missions painted on her nose. My grandfather sadly passed away in 1990. Contact me for the photo! I am researching my grandfather, Robert Underwood, who was in the lancaster bombers in WW2 as a rear gunner. Unfortunately, my father was only young when his father passed away after leaving the RAF, so I do not have any more information on him. If anyone can help me or point me in the right direction, it would be greatly appreciated. Flying Officer Gerald A. Tipping 151365 Nav in Lancaster based at RAF Mildenhall. He was shot down over France 25/7/44 and initially buried in a mass grave in Chartres, but he and his crew now have individual graves in the small War Graves cemetery St. Desir near Caan, Northern France, which I have visited. I would love to hear from anyone who knew anything of my uncle and godfather, whose youngest sister Rose (90) is still living. Congrats to all involved in the Bomber Command memorial, which is truly magnificent. The poppy wreath from the Mildenhall Association was greatly appreciated. Thanks especially for Pilot Johnston's diary, which has given us such vivid insight into the flights to Stuttgart. Re. John Lister - my late uncle, Leslie Charles Roots, was also in 100 Squadron and was a Flt Sergeant Navigator in Lancasters in the Grimsby/Waltham area in 1943 and 1944. He was shot down 18/19 July 1944 in a night raid over Scholven and missing, presumed dead. I would be happy for Robyn Van Emmerlot to contact me to see if we can share information. My mother's cousin was Flight Lieutenant Edward Chatterton. We know how he met his end, at Ove on 30/8/44, but have never seen a photograph of him. Does anyone know of one? My grandfather was Charles Donald Andrewartha. Thank you for the delight that is this website. The night of July 13 to 14, 1943, a bomber Avro-Lancaster MK-II Series DS-660 and KO-coded P, belonging to the 115th Squadron of the Royal Air Force Volunteer Reserve takes off at 0:24 of the Airfield-East Wretham (Norfolk) to bomb Aachen (Germany). The four-hit by the Ju 88 or the Messerschmitt of Hauptmann (Captain) RAUTH Hubert, an Austrian pilot who flies in the 3./NJG-4 (3rd staffel of the 4th Fighter Wing at night) based Florennes (Belgium) and claims a Lancaster 18km south-west of Cambrai, to 5.400m at 2:28, his 26th victory. He survived the war and is the latest recipient of the Knight in April 1945. (Partial technical Sources: Jocelyn LECLERQ, AntiqAir Flanders-Artois Aubers). The Lancaster crashed northwest of Metz-en-Couture (Pas de Calais - France), near the wood Havrincourt. The pilot is Flying Officer (Lieutenant) Rodney Boyd Larson engaged in the Royal Canadian Air Force (registration J.5829). He is the only survivor and was taken prisoner. He was held at Stalag Luft III in Sagan und Belaria, known to be part of the Great Escape in March of 1944. - The flight engineer Sergeant (Sgt) Mervyn JONES 1653104 - RAF (VR) - 20 years, son of John and Harriet E. JONES, Morfa, Llannelly, Carmarthenshire. Parcel No. 18 - Row E - Tomb No. 25. - The bomber navigator Pilot Officer (Lieutenant) Chester ARMSTRONG, 138,396-RAF (VR). Parcel No. 18 - Row E, Grave No. 26. - The bomber Flying Officer Frederick Leonard YATES, 131977 - RAF (VR) - 28 years, son of Thomas Frederick and Ada YATES, Hampstead, London, husband of Enid Yates, of Hampstead. Plot No. 18, Row E, Grave No. 24. - The radio gunner on Sergeeant Peter WILLIAMS, 1077619 - RAF (VR) - 21 years, son of Arthur and Margaret Williams, of Bolton, Lancashire, married Nellie WILLIAMS, of Bolton. Plot No. 18, Row E, No. 21-22 common grave. - The gunner Sergeant John Thomas NEWTON, 1601296, RAF (VR) - 19 years, son of George James and Mabel Frances NEWTON, Beckenham, Kent. Plot No. 18, Row E, Grave No. 23. - The gunner Sergeant Derick MURPHY, 1044231, RAF (VR) - Plot No. 18, Row E, 21-22 common grave. Rodney Boyd Larson died in 1988 in California. His widow Miriam came on pilgrimage to Metz-en-Couture August 28, 1991 along with three of his grandchildren, son Tim, Kirk and Leif. Timothy (son of Rodney Boyd Larson and his wife Veta, came May 21, 1997). A memorial service was also held Monday, July 14, 2003 to mark the 60th anniversary (1943-2003). A nephew, Jackson is BEAUCHAMP also came July 27, 2006. Finally, on 08 June 2007 13 LARSON family members (children, grandchildren and great grandchildren) or revenue came in pilgrimage to the scene of plane crash and the cemetery of Gr�villers. The Municipality has asked me to organize an inauguration ceremony of remembrance with a plaque near the site of the plane crash, the Chapel of Our Lady of Lourdes. Will be honored with six hapless occupants of the aircraft at British Cemetery Gr�villers. To date, the date of this event has not yet been chosen but it will be in 2013 (seventieth anniversary of the plane crash). The Consul General of Great Britain in Lille, the President of the Association France - Great Britain in Paris, the civilian and military, regional politicians, the French Association of Remembrance, the Associations of Veterans Affairs and the Door -Flags will be present at the commemoration. Today, I'm looking for descendants of six members killed in the crash. I will wish to join this day of remembrance. The family of Rodney Boyd Larson will also be invited. Could someone help me coordinate this research? I also seek all documents relating to the aircraft and crew (photographs, travelogue, written, etc ...). Your contact: ... DUCAMP Jacques, Deputy Mayor, project manager for the memorial service, 3 Rue des Lombards, 62124 - METZ-EN-COUTURE, France. Looking for a Lancaster pilot called Howard, who I met in Marrekech about 5 years ago, with his good lady. Fair haired good looking chap and well preserved. Apparently one of the youngest pilots to be awarded the DSO. Have unfortunately lost his e-mail address. Fantastic site! Particularly helpful are the diary notes next to each entry with explanations of people, terms and places. Haven't yet fully explored the site, but I am sure I will continue to be impressed by the quality and quantity of material presented. Bruce Gibb Johnston of of 518 Squadron, Lancaster Reconnaissance. I wrote on November 23, 2010 to ask if anyone knew my dad. I did not add his squadron number, which may help. I have many photos taken with his crew and his aicraft. I would love to have some more information or hear from anyone who knew or flew with him. Thank you. My father, Edward Dalgleish, was a Flying Officer with Bomber Command. The last airfield he flew from was 207 Squadron, Spilsby in Lincolnshire. He was killed over Ligiers-de-Touraine, northern France on the 15/16 July 1944 op to bomb railway yards. I appreciate that it a long shot, but thought it worth a try, as someone may have flown from Spilsby with 207 or know someone who did. I appreciate that the lads are getting on a bit, but you never know. It's a true saying that if you don't ask, you don't get. My father, John Lister, served with 100 Squadron at RAF Waltham in Grimsby 1943/1944 and was a rear end gunner during WWII flying in Lancaster bombers in well over 30 sorties over Europe/Germany as part of Bomber Command. He was a member of the Royal Australian Air Force (RAAF) attached to the RAF in the UK. Initially he came to the UK as a Sgt, and was promoted through the ranks to Flt/Sgt, Pilot Officer and eventually Flg/Officer in mid-1945. I have a photo of his crew - Jim Thompson, skipper - Tom Thomas, Engineer - Cliff Hatfield, Bomb aimer - Joe Lyons, Navigator - Eric Lindorff, Mid-upper Gunner, and of course John Lister (dad), Rear Gunner. They all look so young. Dad passed away in 1990, but did not talk much about the war. I have his log book which shows many of the missions he took part in. I am so proud of what he and all those brave men did so that the rest of us would have a much better world to live in. Is there anyone out there who knows of anyone else who served in this squadron that would have known dad? My first cousin, Bobby Lane, tail gunner shot down over Austria in WWII. His mother was Florrie Thomason Lane and father, Tom Lane. Trying to track down my father's crew, or surviving family. Dad, Flight Sergeant James Brown Robertson, was with 115 Squadron, Witchford, May-August 1944. His crew was as follows: Navigator G. McLune, Bomb Aimer R.W. Riches, W/OP R.W. Sturgess, Mid Upper S.E. Knight, Rear Gunner J.D. Glaister, and Flight Engineer W. Pincott. I have a letter written by J.D. Glaister dated February 13, 1978 written in response to a letter from my father. Doug was living in Timmins, Ontario, Canada at the time and mentions that he was an electrian at a gold mine. He also mentions his wife Alexandra and two children, daughter married and living in Kapuskasing (150 miles from Timmins), also his son married and living in Timmins. I am trying to gather war information with regard to my father, Frederick Don Croney, who was a navigator on a lancaster bomber at 582 Squadron, and was awarded a DFC for his duties. He died in 1999 and all documentation pertaining to this last been lost. I read with great interest the comment left by Michele Sobek on December 14, 2011 regarding her father who flew Martinets. I am currently researching the Miles M25 Martinet and wonder if it would be possible to pass my contact details to Michele. So glad I came across the site. Thank you for all the research. My grandmother lost her brother, Oscar McFadden on May 27, 1944 during an air raid on Aachen, Germany. 20 aircraft were sent, and 2 were shot down. Just wondering if anyone knows if the location of where these aircraft is known. He flew in a Lancaster bomber. I am trying to find information for my friend about his uncle, who was a "tail end Charlie" in WW2. His name was William "Bill" Button. My uncle, Keith Selwyn Bell, was in 115 Squadron (lancasters) based at Witchford. His Lancaster II serial DS 834 was shot down on December 29, 1943 on farmland at Tungelroiy, near Weert (Netherlands). I have his Flying Log Book, but his last entry is for November 28, 1943, a month before his final operation. I would like to find any more details of his service in the period from November 28, 1943 until his final flight on December 29, 1943. I am trying to find any nfo on my uncle, Douglas Robert Vincent. He was attached to 104 Squadron in Foggia Main, and was reported missing in action December 1944. I would appreciate any type of info as very little is known of his last mission(s). My Grandfather, Ronald Stewart, told me some stories, that I can only remember bits of, being so young at the time. Thank you for the chance to read this account which was so detailed and gave me an insite into my grandfather's life. My grandad is a hero and never far from my heart. Sometimes I wish I had half the courage that they had then. I am researching my father's cousin, Keith Harris, and would appreciate any information about him. He was a pilot with 115 Squadron, and lost with all his crew on Jan 28/29, 1944 on a raid to Berlin flying Lancaster DS 833. My father flew a Martinet, and he crashed. In April 2012, he will be 83 years old. I am looking for any information. Looking for a Peter Campbell, who was in either the RAF or RAAF and was in Sydney late 1941 or early 1942. My father, Walter (Wally) Campbell (970242) was a rear gunner in Lancasters. He was awarded the DFC in 1943 and promoted to Pilot Officer. Sadly, he died May 12, 1999. I would greatly appreciate any information that anyone may have. My uncle (my father's brother) was Sgt Robert Lane RAF VR N514 Squadron, Waterbeach, a mid-upper gunner in lancaster LM206 shot down May 28/29, 1944 over Neufchateau. There were two survivors. The five airmen sadly killed that night were buried on July 30, 1944 in the Communal Cemetery by the town's people of Neufchateau. I have written Robert's biography and amassed a lot of information on what happened that fateful night. I'm trying to trace down family members of a Sgt Aubry, tail gunner shot down in 1942 and imprisoned in a concentration camp. I have a few pictures and letters from him to my dad, and would love to give them back to his family. Visitors may like to know that I have posted some background about the Lancaster Lily Mars, LL678, and her crew on my Dad's war memoirs website www.fightingthrough.co.uk. The plane was shot dow over Holland on the last tour of dury for its crew, some of whom have been tracked down by relatives or surviving comrades. 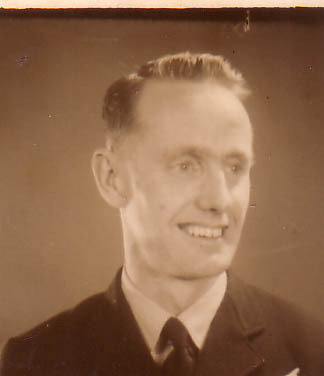 I am looking for information on my uncle, Philip Rex Pae, who was shot down in a lancaster of 50 Squadron on Christmas Eve, 1943 This was near Frankfurt. Any information from people who knew him would be welcome as I am researching on behalf of my father, his brother, Douglas. My brother was shot down in a lancaster of 103 Squadron when returning from a mission to Munich in December 1942. He is buried in Vavincourt Communal Cemetery in Meuse, France, along with four other members of the crew. The pilot bailed out and was saved. He was flying from Elshamwold station on Dec 22/23, 1942. Any information of raids, etc. would be appreciated. I'm looking for people who served in 50 Squadron at Skellingthorpe towards the end of the war, especially anyone who flew in Lancaster LM234 VN-K. I'm trying to find Canadian airmen who would have completed 17 ops in this aircraft before it was shot down while being used by a Australian crew. Thanks in advance. I am looking for anyone who may have information or might have known my father, Douglas Diepa Williams, who flew/piloted lancasters during WWII. Anything anyone might know would be so helpful. My father, John Alfred Crew, was a navigator in a Pathfinder Squadron in the RAF. He was from Windsor, Ontario. He stayed with the same crew (who were from England, Scotland and Wales) from 1942-45. I am trying to find out more about my father's cousin, Philip Kidd, who died in a bomber over France in WWII. I believe that the French town they managed to avoid put up a monument. Any help on this would be appreciated. My great uncle on my dad's mother's side was Sidney Coole. I am trying to find out as much information as I can. I remember him telling me stories when I was a little boy. I wish I hadn't left it so long to do this. I am looking for information regarding my grandfather, F/S Thomas George Best. I believe he was a navigator in a Pathfinder squadron during 1943/44, until he and his crew were shot down over the North Sea and forced to ditch. My dad was George W. Brown, from London, Ontario, Canada, a mid-upper gunner on a lanc posted to 115 Squadron. He completed 31 missions in 1944. Are there any rosters for the airmen out there that served? My wife's uncle was Hugh Roberts Bretherick. He visited us in New Zealand a number of times in the past twenty years. He was an inspiration to us, always optimistic, and forward looking. I am looking for others in the crew of Lancaster 60-R at Little Staughton. I wonder if anyone knew my father, Joseph Francis Dowsing. He was a master gunner on Lancaster bombers. He was shot down over Poland and was POW for about 18 months. He had a friend who died when they were shot down - also a gunner. I only know his first name; Max ("Maxie"). My father died in 1959. He was in the Air Force before the war and until his death aged 36. Does anyone remember him?. I only found out about this site while quickly researching the history of ND913 - P for Popeye. I have a small model of a lancaster which is cast out of some of the aluminum recoverd from the crash site. As it came with details of the crew, what happened and where they are buried, I thought I would find out a little more about them. Lancaster pilot Donald F. Holder would have been my uncle had he survived. As you can see, I was named after him, principally because he was my father's favourite. I think his loss greatly affected my dad, who is now getting on in years. I am very interested in finding out more about Uncle Donald, and would very much appreciate anything you can tell me about him. I am extremely pleased that I came across your site just now while searching on the internet for reference to my uncle. I've had a chat with my dad this evening and let him know what I've found thus far and he's really pleased about it. My plan is to put together a wee "dossier" for him of whatever I find. Thanks again for taking the time to help me out - hugely appreciated I can tell you. I would be interested to hear from anyone who flew with or knew my grandfather, Donald Schofield Barker, or from relatives who might have done. Between October 1944 and June 1945 he served as a navigator with 625, 582 and 97 Squadrons, first as a Sargeant and then as a Warrant Officer. He died shortly after the war ended - July 24/46. My father, Maurice Newton Walker, F/O Pathfinder 405348 RNZAF Squadron 7 and 582 Pathfinder, was impounded for four months in 1942 on the Canary Islands after ditching on a delivery run to Gibralter, I think. As well as bombing Germany he managed to father a girl in 1944 before returning home to New Zealand, in that same year, after being invalided out of the war. We have found the girl, but am looking for anyone who knew of my dad during the war, as I am looking to put together a book about him. My father, William Myers, was a rear gunner. I know he was at Brize Norton, but that is all I have. I am desperately trying to write about him for his grandchildren. Is there anyone out there who can help me or put me on the right track? I am looking for Edward Hall, possibly from the Manchester area. I was told he was a lancaster bomber crew member. Since 1994, I have searched for information about R.R. Giffin, the copilot who died on the night of July 28/29, 1944 near Saint Cloud en Dunois. I am a farmer who works on the farm where the plane crashed. I have found the house of "Arthur", who hid Alex Campbell before he went to the Freteval camp. The old people here still remember. In July 1944, two planes crashed near Ozoir le Breuil, where I live. On July 25/26. a Halifax of 432 Squadron, piloted by W. MacDonald, was shot down. Air gunner S.P. Wright was killed and is buried in Villampuy near Ozoir le Breuil. The 2nd plane was Lancaster A2C of 514 Squadron, piloted by Alex Campbell, with Bob Giffin killed. When the second plane fell many people were afraid in the morning, with bombs exploding, but no one was hurt. In June 2011, Lee Calderwood, the son of a member of the first plane, came to Villampuy, to see where the plane crashed. His father is still alive at 90 years of age. My father was Lloyd Taylor, RAAF 425812 and captain/pilot of Lancaster LL652 call sign JI-C of 514 Squadron, shot down May 27/28, 1944. The crew are buried in Geraardsberg, Belgium. On May 5, 2010 a group now called Wings of Memory of BAHA group organised a memorial service to the crew and three generations of Lloyd's decendants were honored to be there. I have my father's diary and have been able to follow others' comments about other crews. He was promoted to flight Lieutenant on My 1st, notified of the 17th and crashed on the 28th of May. His last diary entry was of mission 13. My brother in law, Ken Drury, was a navigator on Lancaster pathfinders based in Yorkshire. Any connections? Nicely done, gentleman. What a labour of love, and a historical treasure. My father and his two brothers sevred in WWII's European and Asian theatres. They, like your father, are truly worthy of the "greatest generation". Comment posted on Feb 14, 2010 relating to the crew of Lancaster LL840 when I was searching for crew families; I am happy to say that all crew families have been found and are having a reunion at the monument & crash site on June 22, 2011. My dear friend, ex F/O Howard Keon DFC, was a navigator in Lancasters, flying with 90 Squadron from Tuddenham from November 1944 to the end of the war. He was a Canadian, from Owen Sound, Ontario, but went to England and trained on Wellingtons and stirlings before being posted to 90 Squadron, Tuddenham as navigator. He made 30 trips. After the war he became a Catholic priest, and is now over 90 years old, and living in a retirement home in Tornto. He is seeking to find out what happened after the war to his fellow crew members: Bill Wright, Clare Telford, Peter Campbell (mid-upper gunner), Ross Meggison, Jack Kaiser (pilot) and Jimmy Ginn. Incidentally, a few years back I tape recorded his reminiscences, and could possibly put the tape on MP3 and send it. Any news would be helpful. And where is the history of 90 Squadron? My dear dad, Henry George Taylor, served as a mid-upper gunner in 514 squadron. Sadly, he died three weeks ago on Apr 5th after a long illness. I don't know if any of his crew are still alive. I know Don went to live in Tasmania and Kevin "Bunny" Warren died here in Australia several years ago. My uncle was Neil Roberts. I understand he was a pilot in a lancaster in the war and flew many missions. Any information welcome. He was from Cymric, Saskatchewan. Looking for any info I can find about my uncle, rear gunner William T Woodhouse. His plane went down July 21/22, 1944 on the opertaion to Courtrai. My uncle was Stanley Finch, Rear Gunner in Lancaster DS662, lost on 4/7/43, and piloted by Bennett Stokes Roberts. I have some details of the Cologne raid of 4/7/43, and am interested in finding further details of my uncle's career. I can also provide details should anyone else be interested in his crew. My father, John Edward Milner, who was 87 on February 23, 2011, was second dickie pilot/engineer in 115 squadron "C" flight at RAF Witchford, Cambidgeshire in early 1945. He was on lancasters and I took him two years ago to Northern Ireland to meet his old skipper, warrant Officer Hugh Hernaa, who sadly passed away last March 20, 2010. My father was born in Montreal, Canada. Anyone around who remembers him? It's wonderful to see the interest this site has generated. Again, many thanks for sharing Bruce's wartime experience. I have a follow-up on HK559, the aircraft lost on 115's Montdidier operation of 17/18 June 1944. Last September the remains of one of the engines were excavated at the crash site, and one of the cylinder valves, cleaned and polished, was sent to me. It now forms the handle of a paperweight, with a suitable label to help perpetuate the memory of the lost crew and of their many brave colleagues. Thank you for your site and diary. There are many references to my uncle (my mother's brother), after whom I am named. He was Nicholas George Berkeley, who was killed on the night of 29/30 August 1944 during the raid on Stettin, which I understand was the last visit to Stettin by the RAF Bomber Command. Bruce Johnston's diary does mention this raid, so I assume he missed the raid. My mother, who is still alive, remembers his coming home on leave after pranging his "kite" on the beach. It appears they were all pretty shook up by this. One thing that has caused some distress over the year, has been to see him described as Canadian. He was British by birth and upbringing and was recruited as an 18 year old working as a schoolmaster in Brighton. He may have trained in Canada (my mother does not often want to talk of these things) but was very definitely not Canadian. Does anyone know what happened to the log books of pilots after they were killed? They would not fly with them I am sure. Many thanks for sharing such an interesting story. Yoru father was a great man, and a brave one, too. Something to be extremely proud of. I joined then Flt Sargeant Jack Oldam's crew at OTU Silverstone in Sept 1943. We flew Wellingtons, Sterlings, Mark 2 Lancaster V-Vicor, and then Mark 1&3 to the end of our tour of operation. I remember some of the men mentioned in the diary. In the past two weeks we've found information showing that my great uncle, Sgt Joseph Marsh, was shot down and killed on the night of July 13/14, 1943 on his first Pathfinder missions with 35 Squadron during a raid on Aachen. I have noted that Chester Armstrong, Peter Murphy and Tim Larson are family memmebers of DS660, which was shot down on the same mission, and would love to get in contact with you guys. I plan to start a website with the pages of 23 (NOT 20 as reported by bomber commend) aircraft that took part in the Aachen raid and yet didn't return in one piece. My email is chris19@blueyonder.co.uk. God bless all ninety-three men that were lost that night KIA, the thirty-seven that were taken POW, twenty-nine that were either injured or returned to base ... you will never be forgotten. My father, Hubert H. Skinner, died on March 5, 2011 at age 97. He served a full tour of ops as a Navigator in 115 Squadron at Witchford, from May 1944 to September 1944 - almost exactly the same period as Bruce Johnston was pilot there. He flew on many of the same operations, so it was a real interest to read Bruce's diary. This gave a real flavour of what life was like there at that time. In response to Danny B. Abraham's comments of January 2011, my father, William (Rip) Flaufas unfortunately passed in 1992. He was a great guy, and enjoyed everyone around him. He had a long and storied teaching career and as a proud Canadian helded defend our Freedom along with many thousands of other men and women. He did fly one of the last missions over Germany, although he would not speak of the war, I had the pleasure and honour of reading his diaries and meeting many of his colleagues over the years. He was an in-plane navigator and a Wing Commander on the ground serving first in the RAF and upon the formation of the RCAF, he transferred with many other Canadians. My father, James B Robertson, was a Lanc pilot with 115B Squadron and flew operationally between May 7 and Aug 11, 1944. He flew on many of the Ops listed in the Diary and would like to know if Bruce Johnston knew him. I have a photo of him and his crew beside his Lancaster and we still have his log book. His crew were Navigator F/Sgt G. McLune, BA F/Sgt R.W. Riches, W/Op F/Sgt R.W. Sturgess, MUG Sgt S.E. Knight, RG F/Sgt J.D. Glaistor, and Fl Eng Sgt W Pincott. I have traced a Barbara Jones in Canada whose father also served in 427 Squadron. We communicate regularly and have become e-mail friends. I have also traced my father's pilot, Francis Neville Murray, who passed away in 1985. I have a photo of him, and have the honour of being named after him. My uncle, George Clark, was a gunner in 90 squadron. His skipper was John Sturrock. He was from Scotland, but had been a policeman in England before the war. Geordie is now in Australia, but would appreciate any details of anyone who served with him. Fascinating reading. I probably saw Bruce's plane fly over my house at Reading. It was seeing so many of them that inspired my interest in aircraft, and to my joining the RAF at age 15 1/2 as an apprentice in Jan 1948. Reading Bruce's comments about his confrontations with officialdom brought back many memories. Belated thanks to him for coming over and helping us. William H. Klufas was our school teacher and later our principal at Hillcrest in Meadowlark Jasper place, Edmonton Alberta. He went on to the new Jasper Place High School as principal. I remember him as a fair person. Is he still alive? I left Edmonton over 30 years ago and have lost contact with the majority of teachers I used to know. I also remember a rumour going around at the time that Mr Klufas flew one of the lats raids into Germany. Is there any truth in this? My wife's father, P.O. J. Bradburn of 44 Squadron was killed in May 1944. Rear gunnner N.H. Lloyd did not go on that trip. He was an F/L in 1954. We would like to know if he is alive or has any family that we can contact. Since I last communicated with you, I have been in touch with Mark Chandler, who gave me pages of information about my brother, F/L Lionel Kirsch, including where his remains are buried. I had no previous knowledge of this. Mark referred me to another friend, Chuck Tolley, who has given me further information. Also Chuck's, brother-in-law in Ottawa went to the National Archives and found my brother's file. He photographed dozens of pages, and put them on disc, which is being forwarded to me. All this as a result of your website and your father's diary. So again, thank you. Finally, after 66 years, I have some closure. I noticed a hard copy of your father's diary during a visit to the Canadian Air Museum at Downsview Airport. Andrew, one of the restorers to lancaster FM104 was kind enough to provide me with the link to your excellent website. Thank you for sharing. Looking for Floyd Gibson, WWII Canadian airforce serviceman. My father was Bruce Gibb Johnston, Flight Lieutenant NZ 403150, who flew Lancasters. Weather reconaisance, and spent a lot of time in Tyre, Ireland. Unfortunately, he died in 1998. He married my mother (Mollie) in 1944. Does anyone know him? Fantastic insight into real ops, and a great fund for research. My father, John Simms, has only recently been told that his real father was Larry Kidd (LAC 548580) 1942 RAF West Freugh. We have found letters dating back between Gladys White/Simms and Larry Kidd. We are looking for any info on Larry Kidd or his family. My uncle Hal Rogers was in the original 421 Squadron flying spitfires. He secured the rights to use the Indian Head logo of the squadron ad I believe he came up with the squadron motto. I was wondering if there were any ex 421 members who would have known him. He crashed at Redhill in April 1943 during a full squadron take-pff downwind. Nickname was "Doc" (he was a Phd type). Thanks. We just came across your site on Remembrance Day. Dad thoroughly enjoyed it. My father is Buck Bennett (actually John). He is now 87 years old. He was a bomb aimer in 514 Squadron at Waterbeach. He went through his training with pilot Bob Giffen, and with Bob picked the balane of the crew. They were about to go operational, but "Giff" had to do his second dickie first. Well Giff was killed on Alex Campbell's flight. Dad loved hearing the story of that last flight and was quite moved by seeing Giff's tombstone. I read with interest the email from Mark Chandler, as Lionel Kirsch was my brother. I have a picture of Lionel and his crew taken with their plane, which they nicknamed "Lil Abner". I would be intereted in hearing from anyone who has any information about Lionel or the crew. I do not know their names. I was 12 years old when Lionel was killed and my parents did not keep any correspondence. I have a few letters Lionel wrote to my grandmother from England. My name is Lyndsay Dolansky, and I am the granddaughter of Elma Dolansky, Flight Lieutenant Lionel Kirsch's sister. I was told by my father that Lionel had joined the airforce on his 18th birthday and had died at the age of 21 (on Sept 13, 1944), flying on a mission to Frankfurt. My grandmother was was very young when her brother joined, and could only tell me what little she remembered of him through photographs and newspaper articles she kept all these years, so when my father started looking around and found this diary online we got to see a little more into who my great uncle was. I wnat to thank Bruce Johnston for sharing his memories with us and to also thank him for being a good friend to my uncle. I am writing a biography of my older brother, W/C Artie Ashworth, RAF, DSO, DFC & Bar, AFC & bar, Mid. I would like to make contact with anyone who knew him or flew with him during WWII and after. He served in 75, 38, 216 and 635 Squadrons during the war. Later he commanded 139 Squadron amongst others. I would like to contact Joanne Leggett, who says she has a lot of info on Ken Crankshaw, who was a rear gunner for Artie on something like 15 Ops over Germany. Ken died about 18 months ago. His widow lives in Australia. Looking for any pictures of Lionel Kirsch, who was a friend of Pilot Bruce Johnston. Lionel is my uncle. He was with the 90th, when he went missing over Frankfurt. Thank you so much for this. I am transcribing my Uncle Geoffrey Herbert Brandon Slinn's diaries from WWII - he was at Chedburgh in Jan/Feb 1944. He mentioned Squadron Leader Fowler - and I found a reference to him in your page. My great uncle, Sgt Arthur Cave (Mac) McBay was a Wop/ag on Lanc on 50 Squadron from November 1942 until February 25, 1943. Wondering if any of the squadron of that period, air or ground crew are still with us? I am a freelance writer in British Columbia. I note you are missing a pilot: Edmund Kluczny, a Canadian. His story will appear on Bov 5, 2010 and you can find it at www.columbiavalleypioneer.com. Thought you might like to know. I will pass on your site to him. I'm sure he'll enjoy it. Best regards. In response to two comments about squadron leader Neville Murray of the RCAF, he was actually born in Trinidad, West Indies, and volunteered to fight for Canada in WWII. He received the Distinguished Flying Cross from King George. I have two pictures of him; one receiving the medal, and the other in front of his aircraft. I am looking for any info, pictures, etc about my father, Edward William Kotzma, who was in the 427 lion squadron. He was a turret gunner in a lancaster. My father, Jim Ricciuti (nicknamed Ric) was a pilot in the 189th. I am looking for information on the 189th. All his military stuff was lost in a move and we would like some information. I am trying to find out more info on my father, James (Jock) Ferguson, who was in 90 squadron Bomber Comamnd. flying Lancasters. He never talked about the war and now he is coming to the end of his life at 88 with dementia and cannot recall too much. The family would like to find out more about his life - can anyone help? I am trying to find info regarding my Dad, William A Jones, and his time as wireless operator with Fair Fighters Revenge. I have some old photos, but my Dad passed away 23 years ago and never really spoke of his experiences. I have a useful book called Claims to Fame, which lists all the sorties and crew members, but anything anyone else may recall would be good! I am looking for information regarding George Frederick Gibson. He was killed August 30, 1944 when his plane was shot down over Denmark. Have found info about this and grave, etc., but would like to know more about the person, and what he looked like. I am trying to find out more about my father, warrant officer John Eric Turner, in WWII. In 1943 he was a navigator in 192 squadron. He did not talk much about the war, only that he should have stayed in the RAF at the end of the war. He passed away in 1990, and my mother died a short time ago, so they are both together again. Just came across a picture of my grandad Jim (James) Kennedy. He was in WWII as a rear gunner on a lancaster bomber. That's all I know, and I need help finding out more about him. If I could get some direction on how to find out more information it would be great. When growing up around him it was all hush hush. I believe I may be related to James Kennedy, if he was born in Liverpool. I was told he was a rear gunner in the Dambusters raid, but can't see his name listed on the website. My father, Donald Hugh Snazle, was in 514 Squadron based at Waterbeach. Can find nothing with his name mentioned in related articles. I wondered if anyone had any information. My father (Syd Letts) was the pilot of LM 616 that crashed with the loss of all crew on July 19, 1944. Would like to contact anyone who knew him or of him. Some of the Lancaster Bomber Crews are meeting at Aces High Art Gallery on the 11th of September, 2010, and have regular signings with bomber command pilots and crew. Hope this has been of some help. I was in St Anne's today, and there was a big rememberance day of the Battle of Britain. This got be thinking about my granddad, who was Sgt Charles Ayling. He flew for 66, 43 and 421 Squadrons (I believe, anyway). He was shot down twice, but the second time he was not so lucky and was killed. My gran was left with my mother and my uncle, but she later remarried. I was just wondering if anybody knew him, or of him. My mom still has his medals, but was too young to remember him. Anybody who has any news about him, please would you contact me at: fordiepratt@yahoo.co.uk. Many thanks. Would anyone know a Corporal Philip Bradley? I think he was my grandfather, who died in August 1941. He was from the Nottingham area, and I think flew in Lancasters. Mr. Peter Dighton, I was the bomb aimer underneath your dad, T.A. Dighton, in both 153 and 582 squadrons. I have photograph and information for you regarding your father. Would love to hear from you. Our squadron still has a reunion in Lincoln in May. I am looking for information on my Grandfather, Ian Anthony Pratt, who flew with 582 squadron. Anyone close to him would have known him as Tony. I know he flew from 1944 up until 1945. He also was shot down and crashed in Dover, and was the worst off out of his crew, but survived. I lost my grampa when I was 6. He was the only grandparent I knew and loved him dearly. I am desparate to find out any information, please. He flew mainly with a pilot of the surname Baker or Kinman. He also trained for his wings in South Africa before going back to the U.K.
My dad was a squadron leader with #50. I have a photo of them in front of a lancaster. His name was Harold Smith Whalley, and he was from Leeds, Yorkshire. He was posted some of the time in Moose Jaw, Saskatchewan, and also in India. My brother was Flt Engineer Edward Hughes, in the photo with Bruce Johnston. He was with India Command, on Liberator v111, when he was killed over Burma, August 3, 1945. The plane was seen to catch fire and explode before hitting the ground. Only 6 bodies of the 8 crew were found and buried by villagers, but apparently never re-found. It was said he stood on his tip-toes to make the neight required to fly, but I don't know how true this is. My father was T.A. Dighton (listed below). I know he flew with 153 Sqn from October 1944 to end the January 1945. He laos served with 582 Sqn from February 1945 until the end of the war. Any information about my father would be gratefully received. Rear gunner C. Symonds killed in Belgium 1944. Can you tell me more? My father flew in 582 Squadron from January 1945 to the end of the war. His name was PO T.A. Dighton. Does anyone have any records of his time in the squadron and photographs of him? Any information would be greatly appreciated. My father's name was Flight Sergeant John Tovey (Australian). He was based on or near Faldingwoth Lincoln during WW2. He was a bomb aimer and navigator in Lancasters, and flew many missions. He also trained in Canada and was shot down on the night of Aug 29/30 1944, and was found at a hospital in Sweden on or about the 4th of Sept 1944. He was based in the UK, and his Wing Commander in the RAF was T. Pozyczca. My wonderful father died in 1999, and I would be kean for any information. My connection is my mother's youngest brother, Cecil Nugent. I was momentarily taken back to the memorial service of my Uncle Cecil, who served with Mr. Johnston. He served his country willingly, but ironically died in a plane crash in April 1947, along with my new aunt, as he flew across Canada to the coast to visit my other uncle in Vancouver. His plane was found in 1995, and memorial service took place with all living family represented. The plane was a Lockhead Loadster, and was missing for almost 50 years. I remember Fair Fighter and Fair Fighters Revenge that replaced FF. It was on 153 Squadron at Scampton in Linconshire. There were two flights, A and B, and I think D.R. Kinsan flew in FF, as did Fred Storey, both from Sarnia, Ontario, Canada. Fred was a WOp and Doc Kinsman was tail gunner. I was a tail gunner in A Flight. Mt skipper was F/O Vern Martin of Kitchener, Ontario, Canada. Norman Fenerty my BA from Fredricton, Russ Grey my MU Gunner from Toronto, and Joe Eissen from Toronto was navigator. My other crew were Hauxwell Newcastle on Tyne and Baker from Leicester, Pilot and FEE. Storey and Kinsman were in B flight, so I did not know them well. Met them when Dutch family invited all ex aircrew who took part in Operation Manna to breakfast one day. I left the RAF in July 1947 as WOp 1, NCO I/C Parachute and Dingy Section RAF Mildenhall, then serving Lincolns. My father was talking today about Ken Crankshaw, and I see a letter from his grandson, Ben. I would like to contact him, as my father has a lot of information about Ken and the war. Raymond Scargill DFM was my great uncle! I can also confirm all comments made by Mr. Timmers. I am currently building a motorcycle named "Fairfighters Revenge", as a homage to its crew. I would be very interested to contact any family or even friends of the crew, as I believe, sadly, all of the crew have now passed away. Also friends or family of Sgt Manuel, the rear gunner of the previous "Fairfighters". Just to clear a couple of spelling errors within the comments below, the crew names were as follows: pilot - S.G. Coole, Nav - A.W. Downs, BA - R.S. Rennie (Canadian), Nav - C.L. Birtwhistle, Wop - F. Holyoak, MUG - G.R. Scargill, RGA - A.B. Ashworth. Your website notes that Alfred Hughes (father) was a rear gunner on 115 Squadron DS660. It was shot down in France July 1943 after a mission to Aachen, by a night fighter and the pilot was the only one to survive. My brother was a member of the crew and is recorded as such in the data from the "Lost Bombers" website. There is no one by the name of Hughes that I can see. I have been to the grave close by the crash site Grevillers, in France shortly after the armistice. The gravestones were joined because the bodies were so badly burned that all that remained for identification were the dogtags. I do not know how it is that Mr. Hughes is not listed in the crew. I was hoping he might be the source of some old writings or photos that included references to my brother. There was a sister flight, DS690, that took off for Aachen a few minutes before but it too was shot down. There was no one by the name of Hughes in that crew either. Colin Sim was looking for information on George Connell, DFM, 405 Vancouver Squadron. George is my father and I have some journals, photos, etc. I knew Raymond Scargill, mentioned in the Guestbook on Oct 3, 2009, very well. He was indeed the midupper gunner in the lancaster named "The Fair Fighters Revenge" and probably also in the previous "Fair Fighter". Every year from 1986 until 1997 he and his wife were my guests for a week. In my town we have a memorial monument for the airgunners who served during WW II. Every year there is a memorial service at the monument, and many airgunners come to the town of Dronten for this event. The airgunners stay with Dronten families during this week, so Raymond Scargill stayed every year with my family. Unfortunately, Raymond died in 1998. Crew of the Fair Fighters Revenge: pilot - S. Google, Nav - E. Birdwistle, Eng - A Downs, WOP - F. Holyoak, BA - B. Rennie, RG - Ashworth, MUG - R. Scargill (DFM). I have been looking at this website and noticed the photo on the Home Page of Bruce Johnston. I checked among my father's photos and found exactly the same picture. I have more. Was Bill Hall from Liverpool, as a neighbour of mine served as a navigator on Wellington Bombers and he will be 90 years old this month. Trained in Canada. My uncle was with Bomber Command, as a rear gunner in lancasters. I remember him saying they were shot down or bailed out over Belgium. His name was Donny (Don) Felton, and he came to the UK to join the RFG from the Falkland Islands at the start of the war. I am trying to locate his squadron. Any help would be much appreciated. Hugh Roberts Bretherick passed away on March 13, 2010. He joined the RAF in 1940 and did first fitters engine course and served on various stations before being posted to Iceland in 1941. Volunteered for pilot's course which was granted after Iceland tour, 1942. Completed the ITW course at Grand Hotel, Torquay for the theory side. Then went to Wolverampton airfield to be instructed on dual controls in a Tiger Moth and graduated for Pilot Navigation One or Bomber Aimer Navigator Two or on the same level on the same pay. Became Bomb Aimer Navigataor Two, then continued training in Canada via the Queen Mary to New York, then to Canada to Dafoe, 125 miles from Regina. Bombing and Gunnery course and further training at Portgage Le Prairie (north Winnipeg) navigational course. Returned to England 1943, posted for short further advanced training at Dunfries and then on to Finningley, Doncaster on Wellington Bombers, before the final posting to operational Squadron 103 Elshamwold, near to Brigg. After numerous successful ops, particularly gaining high accurate aiming points with the camera. Then posted from this success to 582 Pathfinders Squadron at Little Stoughton near Bedford, then on raids carrying target indicators as well as bombs, until the end of the war, May 7, 1945. Demobbed November 30, 1945, rank of Flight Sergeant with wings. My uncle, Felix Burrows, was killed on Nov 15 flying Lancaster no HK595. He was in the RAAF attached to 115 Squadron. To Nathan Lynn - I have a file on the loss of LM479, made up of documents from the service files of all Canadians aboard her when she was lost in August 1944. There is also a book that has been written by the nephew of the navigator called "Navigator Brothers". I am looking for any information about Sgt Cyril Symonds, who was at No 3 Lancaster Finishing Scool at RAF Feltwell. He was my late mum-in-law's eldest brother. He was a rear gunner, and killed on December 18, 1944. The Lancaster he was in crashed with another Lancaster near Northwold. We have always been told that he and another man volunteered to join a crew who were two short. The numbers of the Lancasters he served on were R5674 and R5846. Any other information would be much appreciated, and if anyone remembers him, please do let us know. I believe the C. Andrewartha was in fact Charles Donald Andrewartha, DFC RAF. In October 1944 while piloting Lancaster HK555 KO-E, Acting Flying Officer Andewartha was awarded the DFC. After the war he went on to become a flying instructor, and subsequently Air Traffic Controller, later being promoted to Squadron Leader as SATCO. He was born April 15, 1916 in Cornwall and died in September 1973 after leaving the service three years before his death at age 57. He left a wife Dorothy who died July 2008, aged 88, and eleven children, the eldest of which retired as Squadron Leader in the Royal Australian Air Force in December 2009. My uncle was a crew member on a Lancaster returning from an operation when it was shot down by an American ground battery on Jan 1, 1945. All eight of the crew were killed. I have photos of six of the "boys", but am seeking the other two, who are: F/O J.D. Booth (Air Bomber, RAFVR) and Sgt C.D. Bassett (Flt Eng, RAFVR). Also, I wish to contact either the following or their surviving relatives as the flew with the crew prior to that fateful operation. These are: F/S L.J. Carter (Mid Upper Gunner), F/O W. Stirling (2nd Pilot, RNZAF), F/L F.J. Keddility (2nd Pilot), Sgt G. Noble (2nd Pilot), F/O Graham (2nd Pilot). Many thanks to the "Bomber Boys" who risked all for our future. A monument was unveiled on Monday Jun 22, 2009, to Lancaster LL840, exactly 65 years to the day after this bomber and crew of 8 was shot down and crash landed whilst returning from a bombing raid on the synthetic oil refineries at Scholven/Buer in Germany. The plane was from 50 Squadron, and took off from RAF Skellingsthorpe on Jun 21, 1943. Two of the crew perished in the plane, and six parachuted out. Three of them were captured and taken as POWs, two escaped back to England, and 1 evaded capture for three months before being captured and executed without trial as a terrorist, aged 21 years. Despite many attempts to find other family members of the crew to attend the unveiling of the monument, only Flt/Sgt K.H. Ingram, Sgt F.H. Shorter and Flt/Sgt A.G. Beresford were represented. The remaininng crew families could not be traced: Sqd/Ldr zT.B. Cole, DFC, Exe F/O/ J Craven DFC, P/O E.J. Blakemore, W/O J.F Lane, Sgt P.F.J. Hayes. Anyone with knowledge of either the crew members or their families, or any other informatiom please contact me at: allmanhemel1@hotmail.com. I believe the Andrewartha C mentioned in your Colleagues list is not a Canadian pilot, but a Cornish pilot, and was my father, Charles Donald Andrewartha DFC, later to become Sqd Ldr. If you have any information regarding my father I would be very grateful to receive it. I could send you a photograph of my father it it is of interest. Wonderful site. I would like to contact Neville Cast, who posted on Oct 27, 2009. We may be able to swap notes on his namesake - Neville Murray. Can you tell me anything about Flight Sergeant Patrick Millar Constable? He was with 514 Squadron and died 23/04/44, aged 33. He was a navigator pilot # 1563542. I am putting together a package for my girlfriend and her brother for their birthdays. I am looking for any information on Lancaster KO G PB524. Their grandfather's name was Ernie Hart, a flight engineer in A Flight with 115 Squadron. If you have any information on that particular bomber, please email me at: dancebuliak@hotmail.com. Thank you all. Many congratulations on the site and what it is doing for the memory of your Father and his friends. I have no doubt he is most proud of you, and rightly so! A friend sent me the link to your site when he found it by chance whilst searching "Chipping Warden". On reading it, the name "Kirsch" immediately jumped off the page. as I have some knowledge of him and his crew. Some time ago, I came across the personal effects, some photographs, missing telegram and many letters of P.O. Ronnie Winchester, F/Lt Kirsch's Wireless Operator, who died with him on the Frankfurt mission Sept 13, 1944. Ronnie came from Brighton, Sussex, England, and these items had found their way into the hands of a militia dealer somehow. He was bit of a lad, it seems, and his correspondence and photographs reflect the many girls he had in his life! He had initially been accepted for pilot training and was sent to the U.S. He didn't make the grade, and eventually got his W/Op's wing and crewed up with Lionel Kirsch. Ronnie had spent some time in Canada, so I guess he naturally felt happy with a largely Canadian crew. I would be happy to send a photograph of Ronnie, if it would be of any value to the site. For myself, I was delighted to see photographs of both Lionel Kirsch and Richard MacLaren, also to learn from the diary pages how these chaps spent some of their last days on earth. I thank you sincerely for this. Although not a professional researcher or author, I have spent many years interested in Bomber Command and the people who made it the noble brotherhood that it was. Again, I thank you for your brilliant site! My late uncle, Leslie Charles Roots, was a navigator Flight Sargeant with 100 Squadron RAF Volunteer Reserve, who was shot down whilst being navigator of the crew of a lancaster on 19th July 1944 in a raid over Scholven. Does anyone know any of the other members of the crew or have any details in this respect? Can anyone advise of the history of Lancaster bomber on show Lancaster Lancs May 1943, Wings for Victory scheme? We have no idea squadron assigned to. Officer in command at that show was A.E. Lowe MBE. We lancastriens want to catch up with our history. Any info would be appreciated. Lads, I enjoyed your website greatly, and the pictures of the men and women are wonderful. My father, Capt Bob Johnston, served as an engineering officer in the Army Air Corps, CBI, 14th Air Force in India and China, so I am familiar with much of your subject matter. His grandfather came from Ontario, as well. Could we be related? My wife is Canadian, and her father, Capt Leslie Briscoe, served in the RC Artillery in WW II. He was from Montreal. I am looking for info on lancaster LM 479. My great uncle was P/O gunner when the plane was lost over Stettin Aug 29/44. I am not sure if Jonathan Graham would be reading this again, but he mentioned Vincent Prewer, who was my grandfather. I am trying to contact the family of Sgt Norman L. Johnston. He was born in Outremont, Quebec, and served at 115 Squadron in 1941. His Wellington was shot down and all aboard were killed on July 21-22, 1941. My father was Flt Lt Ernest Cast, and a member of 427 Squadron based at Leeming. His pilot was Neville Murray, a Canadian who I was named after. Your father was a brave man, who we all owe a debt of gratitude. Thanks for sharing this. My great uncle was Sidney George Coole of Swindon. He was a lancaster pilot (DFM), and I'm sure he had something to do with the making of the Memphis Belle. His mid-upper gunner was Raymond Scargill. I'm looking for information about a pilot in WWII. All I know is that it was nighttime and he was in a lancaster when a German shot the bottom out of it, and it blew up. Everyone inside was killed (includin Howard Miles) except for two people at the front of the plane. He was my fiance's grandfather's best friend. Thank you. You have a very nice website. My uncle was Bennett Stokes-Roberts, the pilot mentioned on your website. He died before I was born. I would be grateful for any more information about his life as a pilot and his death in action on July 4, 1943. My father James "Jim" Barraclough was a Flight Engineer on lancaster bombers in 1944-1945 with 189 Squadron, who were at RAF Bardney and RAF Fulbeck. Sadly he died on 2002 aged 79. I have his log book, and he was one of the lucky ones who survived many missions over Germany. I would be grateful to hear from anyone who remembers him. I think "Taylor (the Aussie)" is my grandfather's brother - Lloyd Charles Alexander Taylor being his full name. The last entry in the diary that mentioned Lloyd was dated 24th of May 1944. He was killed four days later. Thanks for creating such an interesting site that really provides perspective on the crews. Just looking for info on my dad, Rip Klufas. Thanks. My father, Alfred Hughes (TAF), was a rear gunner in a lancaster bomber. I am trying to find more information. He was in hospital when his crew never returned and was upset to talk about it. Bennett Stokes-Roberts was my father's brother. I have limited details, but Bennett has two sisters and a brother still living, and I may be able to get details from them. But that's all I know, and need some help in finding out more about him. If I could get some direction on how to go about finding out more information it would be great. When growing up around him it was all hush hush. Regarding Bruce's mission to Mondidier on 17/18 June 1944, when HK559 piloted by John Traill crashed with the loss of all crew (of whom my uncle was one), there was in June this year a 65th anniversary ceremony in the village concerned. Though not about Bruce, the events described make clear that the French people continue to recognise how much they owe him and his colleagues of the time. Does anyone have information on RAF Squadron 192 - RCM - based at RAF Feltwell in June 1943? My uncle, Leonard William Smith, was killed on a raid over Holland and is buried in Terschelling cemetary. For those interested, I have created a softare proramme/database called "World War II Allied Aircraft Crashes in the Netherlands". 115 Squadron aircraft and crew are listed in the database. It can be downloaded via http://ww2.texlaweb.nl. The programme is free to use and no installation is needed - it's very easy to use. Any comments about the programme and/or information to be included in highly appreciated. I stumbled across your site while attempting to find out more information on my father's war service. His name was Howard Johnston (no relation, as far as I know), and I have a copy of his war records from the National Archives, Ottawa. I have two referenecs in his records for 426 Squadron, which I have learned was based near Dishford. However, I have numerous references to Tempsford, England, but as far as I can find out 426 Squadron was not based there. Please feel free to contact me and share any information you may have on this, or with any help you can offer with the acronyms used on war service records. Also, your website is a great tribute to all who served. Keep up teh godo work. My late father, Ian Anthony Pratt (No. 1398446) was a bomb aimer in Sq 582. I have his Air Gunners Log Book as well as his bomb loading records, which start with the record of his training in the South African Air Force (48 Air School) from 11-09-43, and goes through to 02-01-45. He never spoke of his war experiences and I would like to find out more of his exact role as well as information on the crews that flew with him. Can anyone assist? Ron Paglia, found your message on the website to Barbara Bickford. That's my Aunt (I'm Paul Bickford, son of Barry Bickford, Peter's brother). If I can help, e-mail me. Thanks. My father, Howard A.J. Edmunds, flew with 427 Sqn during WWII as an upper and/or rear air gunner depending on the mission. One of the station names that I remember was Leeming. He is still alive and living in Alberta, Canada. Anyone knowing Howard during his time on the Squadron and wishing to contact him, please contact myself at bp1jones@gmail.com, and I will forward your information on to him. My grandfather was in the RCAF military. His name was John Wilson Smith, and all I know is that he operated in a Halifax bomber. I have an "AG" wing that he received while in service . Can anyone enlighten me on this section on Canadian history? To Barbara Bickford Myers. I received your message about your brother Peter Bickford and Jack France. I tried responding but my e-mails keep getting bounced back with a notice that your ISP is rejecting them as spam. Please contact me again at 315 Meadow Ave., Charleroi, PA 15022 USA 724-483-3384. Thank you. Anyone know Sgt George Connell DFM? My grandfather was Rodney Boyd Larson. My father is his oldest son Rodney Lane Larson. He was a Lancaster pilot and was a POW in Oflag Luft 3. My father, Edward John Line (Josh) was the navigator on the Lancaster bomber "Popeye" with Colin Clarey, that crashed July 21, 1944 killing all crew members. My father, Keith Graham, was Wireless Operator in 427 "Lion" Squadron, Group 6, RCAF. I just want to congratulate you on a wonderful website. I am writing a book on my uncle Frank Garbas RCAF, who was killed on the Dams Raid. I came across this site in reference to No 5 SFTS, Brantford. Guy Gibson visited there on Sept 1, 1943. I was at Brantford to take a photographical flight to the site of No. 4 Bombing and Gunnery School Fingal, where my uncle trained as a gunner. You have done a masterful job and I realize the amount of effort it took to do it. Anyone know my dad, Ken W.A. Wood, trained in Canada who flew from Woolfox Lodge about 1943-1945? My Grandfather, Ken Crankshaw, passed away at roughly 10 am this morning, aged 89. He was a tailgunner for the NZ Airforce flying Lancasters, based out of England in WWII. He flew 17 missions over Germany and earned the nickname "The Terror of the Huns" before they retired him to normal duties. I sit here looking for vestiges of my grandfather's life and am proud to say I knew him. I wish I'd said more. God Bless you Cranky, RIP. Your loving grandson, Ben. Looking for my uncle Alfred Tremblay, shot down over Aachens, Germany in May 23/24. Can you recommend a site to find info on? Thanks. My dad, Jack Burch, was a squadron leader and flew ops over Germany in a Lancaster bomber. He is alive, well and fit as a fiddle and living in Burnaby, B.C. Hugh Roberts Bretherick (rear lancaster gunner) and in his 90's is alive, though currently poorly, and living in Fareham Hampshire. Have been told that my father-in-law's squadron was 517 and then 630, and that he went by the name "Chuck" Bottriell. Does any of this prompt old memories? Would love to hear from anyone who may remember him or have any stories of these two squadrons during WWII. Am looking for an e-mail or snail mail address for Donald Stewart of 415 Sqn (WWII). Any assistance will be appreciated ... Per Ardua Ad Astra. A wonderful and interesting site. I am starting out on a similar venture concerning Sgt Bennett Stokes-Roberts (pilot) who was lost on 4 July, 1943 from 115 Squadron DS662 (KO-L). I note that this ID was later reallocated to another aircraft in 115. Can you give any tips on where I might find details to provide the history of Sgt Stokes-Roberts until that fatefull day? I am trying to find the squadron no. and where I can find the history relating to this squadron and my father-in-law, Charles John Bottriell, born 1923, having served in the RAF during the war - tail gunner in the Lancasters. Would you be so kind as to direct me to the relevant web-sites most appropriate. He passed away last year and we never got around to sitting down and recording his story. Now I would like to try and fill the gap for his grandchildren so they will have some kind of record. Thank you. I want to congratulate you for the interesting and well-made diary transcript you are presenting. Due to the great information your website provides I have listed your on-line diary on my website war-diary.com. I am in desperate search on information on my grandfather, Ian Tony Pratt, who was in Squadron 582, Little Staughton. If anyone has any information, I'd appreciate it if they could please contact me. Thank you. This is an excellent website - a great source of history. Thank you for your time, and your consideration. This is a great site, which I came across while looking for more information to add to a web site I have set up as a tribute to my later father, Wally Smith. He flew 51 ops with 463 and 12 Squadrons. Remarkably, he carried out 30 ops of his first tour in the same Lancaster ED995. A wonderful tribute to a very brave man, who made a difference both during and after the war. Reading his diary was a very humbling experience for this baby boomer. While living in Pennsylvania, Peter Bickford worked as sports editor of The Daily Republican newspaper in Monongahela. My dad, Floyd M. France, was managing editor at the time. I was born years after the war, but my Dad spoke highly of Peter to me. Peter's parents, living in England, continued to write letters to my Dad for years after the war. I was just reading some of those letters from the 1950s today ... a web search on Peter brought me here. This is a wonderful website, and the "Diary Notes" section is very much appreciated. Regarding Max Williams' reply to my request Oct 6, thank you for the correction - you are right. Have you read the book, and if so, could you give me the details regarding his 99th and 100th shootdowns? My friend was in one of these planes shot down at Dusseldorf. Would anyone remember Flight Sergeant Hugh Roberts Bretherick? He served with 582 Pathfinder Squadron, Lancaster 60-R, at Little Staughton, Lincs, England. My father was Otto Roy Teichman (decceased). He was born on January or February 28th, 19?? and my family tells me he was a pilot in WW II. I am trying to find out any information about my father, who served our country as an RCAF pilot, so I can gain some closure, as his only son. Well researched website and great information and photographs used. Well done to you. We are also researching and dedicating many pages to relatives and friends of WW II Aircrew - regardless of nationality. Be pleased to hear from anyone. With reference to Ron Richardson's earlier comment about the tragic death of the Luftwaffe nightfighter ace Heinz Schnaufer, may I respectfully draw his attention to "Ace of Diamonds", the biography of Schnaufer by Peter Hinchliffe. In July 1950, Schnaufer was in the south of France on a wine-buying trip for the family business. He was driving his soft-top Mercedes with the top folded back. 20 kms south of Bordeaux he was approaching a cross-road, coming from his right was a Renault 22 lorry carrying 6 tonnes of empty gas cyclinders. The lorry failed to give way, and the two vehicles collided side on. Schnaufer was severely injured, bleeding profusely from a wound at the back of the head: it appears some of the gas cylinders were flung off the lorry and one of them struck Schnaufer. He was taken to hospital but never recovered consciousness, and died on 15th July. A very sad and untimely end for an amazingly brave, skilful and well-loved pilot. Chester was my uncle, who was killed coming home from the Aachen raid on July 13, 1943. Only the captain got out, who was made a PoW, and eventually went home to Canada. I have been to the grave. My family still miss him. Brave souls one and all. The Curator of the Spitfire and Hurricane Museum at Manston in Kent has come across a Captains of Aircraft Map showing a raid on Duisburg. He would like to know any information about these maps - ie what was their main purpose, and were they in general use in Bomber Command? Also, one of our members, Roy T. Dyer, Master Navigator, served in Canada. Does anyone remember him? The website was great in revealing information on P.O. S.A. Letts, who was the father of one of my oldest friends. Just came across your site tonight and think it's excellent. Very organized and easy to navigate. I'm working on a similar project - my great uncle was an RCAF pilot who flew with (fighter) 19 squadron, RAF, 1943-1945. Re your question about ED: could it be the "6" is actually a "G" in the diary, making Engine Driven Generator a possibility? (Ed note: Took another look at the original diary, and while the "6" does look like a "6", it is possible that it's a "G"). I've enjoyed your site. It's very clearly laid out and easily navigated, besides being crammed with lots of fascinating information. I have a suggestion for port ED6. Perhaps one of the Engine Driven Pumps associated with the fuel system? One per engine, so not sure about the "6". Could it be a "P"? I've been researching the loss of lancaster ME 453 of 467 Squadron for 3 years. I have a small website (www.galgos.co.uk) which summarizes my work, though a more comprehensive one to do justice to the material collected is planned. I have been doing a lot of research on Halifax bomber NA567, lost Oct 9/44 at Dusseldorf. They were 76 RAF Squadron located at Spaulding at Holme from Aug 12/44, until they were shot down on a raid to Bochum. The tail gunner, PO Ken Edmison, was a neighbour of mine when I was a boy and I played with his sons. I visited the gravesite of the crew at Kleeve Germany in Sept 2006. Via internet I found that the Luftwaffe night fighter pilot that shot them down at 20.32 hrs was Major Heinz-Wolfgang Schnaufer for his 30th victory. He survived the war to be their top night fighter ace, and got killed in 1947 in Germany while waiting for a train to pass a level crossing. A large tree being hauled by the train fell off onto his car and killed him. Ironic, eh? If anyone knew this rcew (pilot Al Wall), which lasted only 8 raids, or can add to this story, please do so. I found a couple of Lion Squadron Passes mentioned in the diary. This is the only place on the web I've seen any reference. I'd love to know more about them if anyone has any information. Thanks. I am the son of WJ RLP Klufas. Thank you for providing this source of information. My uncle, Charlie Wernham, was with 115 Squadron on the lancaster bomber in WW2. I'm looking for pictures of the crew of a list of names. Would it be possible to get in touch with Ian Letts? My father's cousin, Sgt Keith Smith, was the navigator on KO-J on July 18, 1944. Rodney Boyd Larson, Stalag Luft 3 POW is a relative of Eileen Joy Larson, daughter of Bernard and Annie Larson. Bernard and Arnold Larson (Rodney Boyd Larson's father) were brothers. Just thought I would let you know that Buck Bennett lives in Brampton, Ontario. My dad, who was with 514 Squadron at Waterbeach met Buck in 2003 at a 514 Reunion at Mt Hope. My grandfather, as far as I know, was a Lancaster Bomber pilot. I don't know a lot about what he did, or indeed if he actually flew the plane. I was wondering if anyone may have known him, or could provide me with any information about the role he played in serving our country during the Second World War. His name was Francis Farrell, and I believe he was posted to Northen Rhodesia to do his pilot training, and may have flown on the "Siegfried" mission. I have been reading a book about a Lancaster pilot in 1942, and have become completely caught up in his story. I was looking for information on Lancasters flown from airfields in England during the war, and came across your website by chance, and it's blown me away. It's been fascinating reading. My father, Oswald Interiano, was a Lancaster pilot with 582 Squadron, based at Little Staughten. You can vew photos of him taken during his training days at http://cityofmesa.org/falcon_field/history/default.aspx. I was wondering if anyone remembers him or flew with him? If so, I would appreciate any information. Thank you. It reminds me of Lancaster ME 843 LE-U, that crashed about 1 mile from my house. There are still remains of this plane, even the sky blue paint is perfectly visible on the aluminum sheet. There are much more details obtained from witness who could see this plane in the German search lights, and saw it coming down after being shot by the German pilot. I am prepared to share this information with relatives of that crew. May they rest in peace. Thanks for making this available to the public. My wife and I are serious history buffs. Thanks so much for the wonderful, engaging site!! The comments on the left side are a great idea to help those of us who are "just wandering in". Very well done!! Thanks again for the very substantial time and effort that I know are hidden "behind the scenes" of your finished product! Does anyone remember Henry Silverwood DFM 56185 from 582 Squadron? He was KIA August 29, 1944 in Lancaster PB202 at Alvandet, Denmark. All crew buried in Nor Vorrupor Cemetary. We are visiting the cemetary at the end of May 2008. I am currently trying to find and visit the grave of my Great-Uncle Roland Stuart Strickland, who died on 14 November 1944 on active duty. My Grandmother (Lorna) when alive asked me to but there is some confusion on the spelling of his middle name (Stuart or Stewart). Neill - if this is the person you are looking for, I can provide any information on his decendants etc, and would appreciate any information you find on his service. My Grandfather was F/O CM Clarey RAAF captain of "Popeye" Lanc 115 Sqn, that crashed July 20/21, 1944 in Papendrecht (mentioned in Johnston's diary on the 21st). My family and other families from the relatives of the Lanc went over in 2004 for the unveiling of the memorial in Holland where the Lanc went down killing all the crew. I'm trying to find some information, photos or maybe hear from someone whose family member was in 100 squadron, and knew a young sergeant Michael Keogh (Air gunner), Service No 1586059, Royal Air Force Volunteer Reserve, who died age 19, on May 26, 1943. Son of Martin and Margaret Keogh, of Kilburn, Middlesex. This informaton is from the Jonkerbos War Cemetary website. I'm making a family scrapbook for my children, who are young adults, and would really love to add their great Uncle Michael to it! I feel it's very important for them to know how he and many others gave up their lives for us to live the way we do today!! Also, if you could send me or tell me where to go for information on what an Air Gunner's job was, so this can go in their books. I would like any info on a Flight Sergeant Ronald Stuart Strickland R.A.A.F (430523). He was killed in action while serving with 115 Squadron. My father Charles Robison was flying ops September 11, 1944 over Kamen, Germany. He was in the 514 Squadron stationed at Waterbeach. He was a Mid Upper Gunner and his plane was one of the three chops described under the operations section of this website. The plane was actually downed by friendly fire. The plane a Lancaster II, DS787 JI-G2. The crew: W/O R J Thornton (RNZAF) - killed. Sgt G F Good - POW. F/O P B Bailey - killed. Sgt G A Hubbard - killed. W/O J W Hall - killed. Sgt C L Robison RCAF - POW (commissioned F/O). F/S D R Burns - POW. My father is now deceased. So is Burns. His son Douglas and I have communicated via online. My father was a prisoner of war until April 1945 when he and two others got loose and met up with Patton's troops (U.S.). My dad told me that the pilot (Thornton) actually survived the crash but took his own life when captured. (This would have to be verified.) One chap did not make it out of the plane per my father. This could mean that my father's plane is the one described in Johnston's diary where they saw 6 chutes. If anyone knew my Dad (Charlie) please contact me through this website. Thank you. I am the nephew of Sidney "George" Letts. I am trying to find out any more information of what he did prior to Operation Goodwood with 115 Squadron. Thank you so much for taking the time and trouble to create this site. Very cool!! Great photos and amazing history, which is sometimes forgotten. My father was Gerard Attwood, who was a navigator with 115 Squadron. Having compared his log book with your site, dad's last 9 missions coincided with Bruce's first 9. Dad passed away three years ago at the age of 80, and would have loved to have seen your site and made contact. I just wish I had found the website sooner. Congratulations on creating a fine tribute. They were true heroes, and must never be forgotten. I would like to congratulate you on a great website, well set out and easy to navigate. I have an interest in 115 Squadron in that I help out at the RAF Witchford Display of Memorabilia on Witchford airfield. This dispay has been put together and run by Barry Aldridge from Ely, and a great job he has done. It's a privilege to be involved with the museum. Great site. It's always good to run across another site that pays tribute to our heroes, that through their sacrifice, provided for the freedoms that we still share today. Come visit comrade-at-arms over at www.aboutww2.info or www.provateletters.net. Always looking for personal stories, articles, photos, contributions of any sort. Lest they be forgotten. My dad was Al Warrington (Lucky) with the 415 Squadron Nov '44 to May '45. He was an air gunner. I have his diary logs, but would appreciate any other information anyone may have on him, at always53142@yahoo.com. I was just finishing reading "Bomber Crew" and came across this site. Very nice. And above all, nice to see the picture of Le Havre, from above. That's where my mom was born in 1940. My grandmother told us about those raids in 1944. Came across the WWII Diary of Lancaster Pilot Bruce Johnston after entering in a google search for pictures of Woolfox Lodge airfield. Though I very much enjoyed reading Bruce Johnston's diary, if anyone has or knows of any war time and post war time pictures of Woolfox Lodge airfield, please contact me at te476@hotmail.co.uk. Thank you. Very interesting reading, especially the trip to Moerdijk, which took place on my 2nd birthday! I was born in Banbury, and would have been there at that time. Nice to know I was being looked after and defended by such dedicated and professional people. Thanks to all for what you all did. My uncle, same name, was the navigator on 115 Sqn Lancaster DS 660 & killed coming home from Aachen (July 14, 1943). Dad was on 100 Group Mossies same time. They all did their bit, didn't they? What a wonderful site and commemoration of your father. I am currently compiling my father's memoirs. He too was a Canadian serving with the RAF and was a Pathfinder pilot with 582 Squadron when he was shot down. He is still alive and well at 84 years of age. Your father's diary mentioned Peter Anaka, and I thought you would like to know that Peter and my father were Airforce buddies after the war, and in fact Peter introduced my mom and dad to each other. Thank you so much for sharing your father's story. Just discovered this site, looks excellent, ready to be bookmarked, and am looking forward to reading the diaries. My wife's uncle was with 115 Squadron, and sadly was KIA on June 8th, 1944. I am the great grandson of "George" Letts, who crashed on July 18, 1944. If anyone has more information on him, I would be interested to hear it. You have done a remarkable job in putting together all this information. It's very sad that your dad wasn't able to share his memories with you and others before he passed away, but it's amazing that you were able to meet up with my dad, Alex Campbell. I am looking for any information regarding my grandfather. His name is Rodney Boyd Larson, a F/O (later promoted to Flight Lieutenant) in the RCAF (J5892), who served with RAF 115 Squardon B Squadron. His last mission was Aachen, Germany on the 14th of July 1943 aboard Avro Lancaster B.Mk II s/n DS660 and coded KO-P from East Wretham. He was shot down near the village of Metz-en-Couture. He was the only survivor and spent the next 22 months in Stalag Luft III. I would like to see if I can find out more about his crew, the missions he flew, and his time in Great Britain. He never talked much about the war or his experiences and passed away some years ago. I am a firefighter and see my share of tragedy, but to me my grandfather was a true hero, just like everyone else who fought for the freedom of future generations. If anyone has any information or suggestions where I can look, I would be greatly appreciative. You may contact me at tim@hoicustom.com. A fantastic site. Thank you and your father for giving us a glimpse of history. Great site, guys. Loved the diary information, it gave a real feel of what these brave young men went through for us. You must be very proud, and rightly so. Excellent site and a wonderful resource for all we students of Bomber Command! I spent ages on it and will often revisit. Congratulations. What a great tribute to your father and his air force colleagues. FYI, Flight Lieutenant Peter Bickford was a British citizen residing in the U.S. The diary was very interesting reading and a lovely memory of your father. Does anyone have any information or remember my father, F/O T. R. (Bob) Millar RAAF Observer /Bombaimer (photo at right). Trained in NSW Australia 1942-43. Arrived in Britain April 1943 (via USA & Canada) & trained in southern England & Scotland (West Freugh). Sent to Italy (Foggia base) with 104 Squadron RAF early 1944. In July 1944 seconded to 31 Squadron SAAF (Celone, Foggia, Italy) a Commonwealth sqdn, part of 205 group, where he became the Leading Sqdn Bombaimer .Took part in many missions including the Warsaw airlifts & supply dropping Yugoslavia. On 12th October 1944 his 31 SAAF Liberator, KH158, with 8 crew of 5 SAAF, 2 RAF,1 RAAF failed to return to base from a supply mission to Italian partisans, based ENE of Genoa. It disappeared & has never been found. If you have any information, please contact me at storm04@globalnet.co.uk. Thank you. This truly gives the feel of an airman�s life back then. My uncle, who overlapped Bruce’s time at Witchford by just under a week, left no account of his experience in the wartime RAF. The diary has let me expand the one-line entries on his service record into an understanding of what such as the Heavy Conversion Unit and Lancaster Finishing School really involved. I�m sure that the effort in making the diary available electronically will be appreciated by many others in years to come. I just visited your site and it is terrific, well done! You�ve done a great job. I wish your site existed a few years back. Do you know how long it took me to find out what AFU stood for? Great job on the website. It brought back lots of memories with the greatest pilot who ever flew! An absolutely fabulous diary and web page. A great reminder of the uncertainty of time as seen through the eyes of a young Canadian. It is really helpful having the notes on the left while reading the diary. I enjoyed the note about Cairo. I was there last month.... hasn't changed. Great job. Hey guys, nice job on the site. Looks great. Easy to navigate. Lots of great pictures!